Capturing the essence of motion particularly fascinated him. 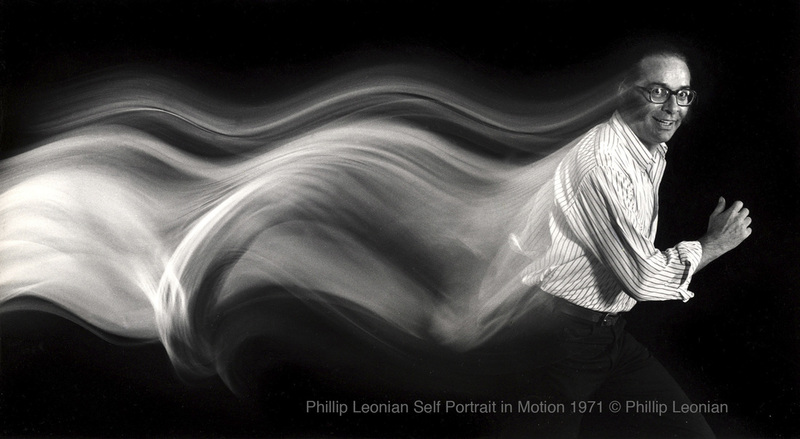 Leonian’s photographs of people in motion seem to define time as well as space. He spent his life exploring ways to portray both an object in motion and the very motion itself, and to do it all in a single still photographic image. Phillip and his wife, Edith, were known to be far-thinking, fair, and generous people. In 2010 this inherent generosity led to the creation of the Phillip and Edith Leonian Foundation, which has a mission to raise awareness of and appreciation for photography and photographers. The Foundation specializes in assisting smaller, non-profit art spaces with strong photography exhibitions, publications, and community educational programs. Join our mailing list to find out more about Phillip Leonian.